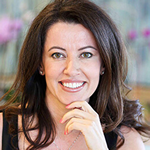 Dr. Sanda Moldovan is a Los Angeles periodontist and a Diplomate of the AAP (American Academy of Periodontology). Periodontology is a specialized field of dentistry, related to any structure around the teeth: bone, gingiva, nerves, and sinuses. This includes dental implant placement, gum disease treatment, and much more. You are probably familiar with periodontal disease, but a less-often discussed topic is periodontal health. Dr. Sanda maintains a strong focus on preventive care. She is also committed to helping her patients achieve a higher level of wellness, beyond the absence of disease. Brushing, flossing, and professional teeth cleaning are often touted as the secret recipe for a healthy mouth. Although these are crucial ingredients, they are far from a complete recipe. Your eating habits, lifestyle, stress level, health conditions, medications, family history, and many other factors affect oral health. Our approach is to customize your dental treatment and give individual advice helping you optimize your at-home oral care. Periodontists perform many specialized oral surgeries. Although surgery is a common treatment for gum disease in many dental offices, we find that is rarely necessary due to our highly effective non-surgical protocols. 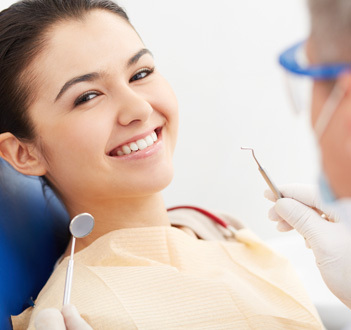 However, gum revision surgeries may be performed for medical or cosmetic reasons. With the popularization of dental implants, the field of periodontics has evolved. Today, one of the most requested procedures is the placement of dental implants. Dr. Sanda has extensive implant experience, and an excellent success rate. If your mouth is healthy, we can help you keep it that way. However, it is never too late to restore oral health. We take a comprehensive approach to fighting gum disease. Scaling and root planing, also known as deep cleaning, is one of the best non-surgical treatments available. When combined with improved nutrition, more effective at-home hygiene, and other therapeutic techniques, the infection can often be eliminated. Even in the worst cases, when the natural teeth cannot be saved, there are a number of restorative treatments available – from bone grafting to dental implants. Call our office at (310) 651-6588 and schedule your consultation today.